Military moves are a certainty, so “Permanent Change of Station” has its own unique meaning. 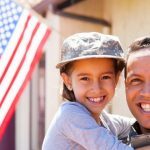 New duty stations and new homes can be exciting, but tough on military families. That’s especially true when they involve different schools for the kids and your spouse finding another job. Understanding the process and planning ahead makes it easier for everyone, so let’s talk about some highlights and that endless supply of acronyms. So make sure to fully understand your particular situation. Depending on your rank and family status you’ll have an assigned weight limit. You may or may not be able to have any privately owned vehicle (POV) shipped and/or stored at government expense. Know your weight limit ahead of time, and compare it with the TSP’s estimate. You’ll have to pay for moving services for anything above the weight limit yourself. Any amount you’re not reimbursed for may be a tax deduction. You should receive some travel allowances in advance of the move, or be issued a travel card for miscellaneous expenses. For any payments for the TSP that you don’t receive in advance, be sure to allow for the time there will be between when you pay and when you’ll be reimbursed. Some military movers may be more understanding than others, but civilian regulations often require certain payment to the carrier (TSP) at specific times. “The more you plan the more you fall behind schedule, because you thought planning would save time.” That said, there are things you can do to make a military move go more smoothly. Here are some key tips for personally procured moves. Coordinate with your local personal property office concerning allowances and reimbursements as soon as you receive your PCS orders. Start getting ready 3 months in advance if at all possible. Call the military moving company (TSP) to schedule-in your move as early as possible. Be sure the TSP has all your contact information so they can reach you 24/7. Identify and label your pro gear — it doesn’t count in your weight allocation. Government priced-contracts typically include paying the military movers for packing and unpacking. If so, use it and make your life a little easier! If not, or if you’re above your weight allowance, packing yourself can save money. See our packing tips here. Here are a few more tips to help with any loss or damage. Create a list of valuable items, and label them. That should include anything worth more than around $1/lb (yep, replacement values are often limited to under a dollar per pound!). Anything above $100 per pound is considered “exceptional value” and should be clearly identified on the TSP’s inventory, and taking a photo is highly recommended. You may want to carry some valuable possessions, personal treasures, and important documents with you as you travel. Read the TSP’s inventory (or “bill of lading”) carefully and make any corrections before signing it! We wish we could be more specific but, well, it’s complicated. And changes from time to time. Here are some resources that you may find helpful. You can use the Defense Personal Property System (DPS) website at move.mil to find the weight of your previous moves, and/or download the DPS weight estimator. You can check out your DoD Personal Property Program’s “Customer Bill of Rights” at https://archive.move.mil/documents/DP3_Customer_Bill_Rights.pdf.